I've seen this used in almost all of the episodes, where during a fight or a scene the colors of the characters will change almost immediately, almost to an inverted color scheme, or sometimes a more muted color scheme. 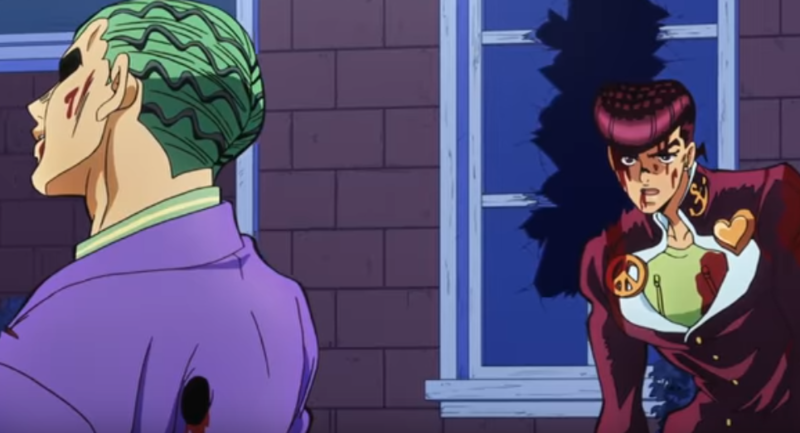 In this scene, you'll notice that Josuke's Stand, Crazy Diamond, is normally colored blue/pink, yet during the fight switches to blue/green, while Killer Queen, who is normally Pink/Black/Gold, is switched to Gold/Black/Blue (body, gloves, skullpiece). 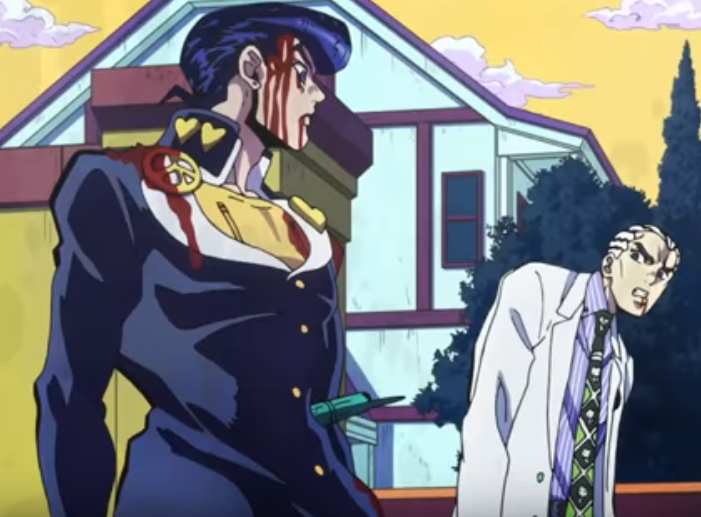 In another fight, seen here, not only does Josuke and Yoshikage change colors, but their stands change color to yet another different color, with Crazy Diamond turning blue/brown, and Kira Queen turning Blue/Green/Yellow. Is there a specific reason for doing this technique? Why has David Co "switched" the colors sometimes during a fight? From what I know, Araki enjoys playing with various colour schemes, which is evident in multiple different colour versions of the characters in manga covers and coloured artwork, which the anime series has followed as it is a big 'part' of the look and feel of Jojo-series as a whole. For specific instances of colour, I guess it's mainly to enhance and add visual flavour to dramatic scenes.